How is the speaker benefited by separating the amplification of the LF from that of the higher-frequency (HF) drivers? What benefits are realizable in a crossover at a line-level rather than a high-current environment? What about bass gain and contour controls for enhanced room interaction? While I could hypothesize about the pros and cons of going active, editor-in-chief Jeff Fritz and I thought it would be more interesting to let the designers themselves talk about it. 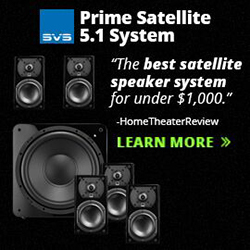 As three of the architects of the active-speaker trend make some of the best-reviewed speaker systems ever covered by the SoundStage! Network, I contacted Richard Vandersteen, Laurence Dickie, and Rockport’s Andy Payor to hear what they had to say. 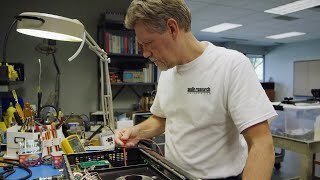 When I broached the subject with Vandersteen, he immediately replied, “I am very surprised at how long it has taken for this to get more popular.” He told me he considers active speakers mandatory once price restrictions have been removed, and that he has been making powered speakers since the mid-1990s because he ardently believes in their benefits. Richard Vandersteen: When I designed a true full-range speaker, the Model 5, it became clear to me that the speaker needed to be placed where the room acoustics allowed good imaging and tonal balance. On further investigation, I found this is rarely the same location where the bass worked best. 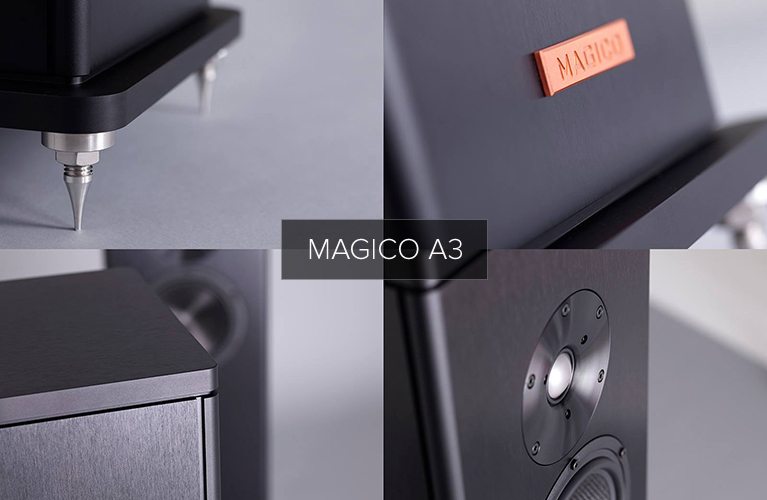 We had been making a powered subwoofer since 1980, so it looked to me that the best approach would be a four-piece system. But as this new full-range system developed, I found that for bass to sound real, the entire wavefront [had to be] involved, especially the midrange. For this to be state of the art, it worked best when the exact location of the subwoofer and the midrange were fixed. This left us with the problem of what to do about the bass. Out of all this research and development, I designed the Model 5 with a powered subwoofer and integral room correction. In my opinion, you can’t make a full-range speaker work in many rooms without it. If I could afford to do it, all my speakers would be that way. Laurence Dickie: I don’t think speaker design engineers ever went away from holding the fully active approach as an ideal; there were notable products with built-in amplifiers, and in the professional field active speakers have been the norm for decades. 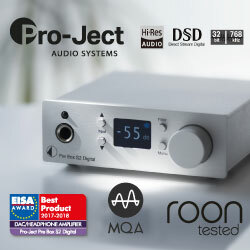 The problem in the high end is that users wedded to a particular amplifier are faced with the prospect of having to buy two or three further pairs of the things, which is clearly prohibitive for all but a very few. The idea of being stuck with whatever amp module the speaker maker saw fit was anathema to many audiophiles. 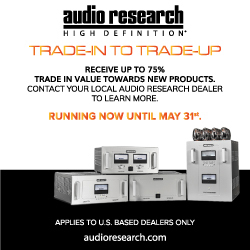 From our standpoint, the rekindling of interest has come about on one hand as a result of the coming of age of class-D amplifiers, which offer truly high-end performance while being efficient, compact, and elegant; and, on the other, linear amplifier manufacturers offering several amplifier modules in a single housing with a single power supply, originally for home theater but ideal for active speaker systems. 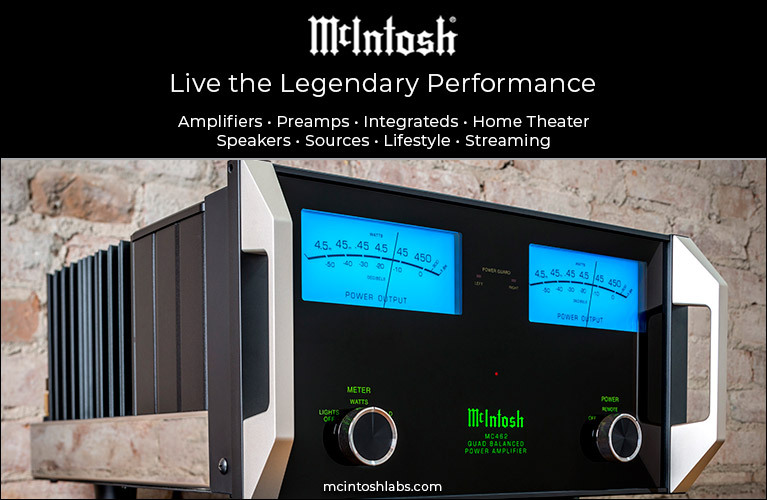 Both offer the possibility of more accessible high-end amplification. Andy Payor: I believe the “newfound” motivation for manufacturers to provide active loudspeaker solutions is that, as the high-end market matures, there is greater acceptance for such systems. 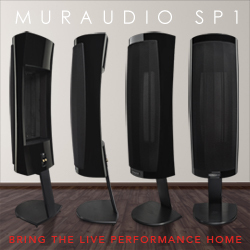 The performance benefits of active loudspeaker systems have not changed, but the stigma of multi-amplified speakers in the high-end community seems to have lessened considerably. Fifteen years ago, multi-amplified speaker systems were relegated to the mundane world of “pro sound,” or used by tweakish fanatics. . . . As this mindset has [given] way to greater understanding of the entire audio chain, manufacturers now have more freedom to explore the performance potential available from multi-amplified loudspeaker systems, without the fear of being cast away to the island of misfit toys. I asked Vandersteen about splitting amplifier duties between LF and higher-frequency drivers with active biamplification and the opportunities for including LF room correction. Vandersteen: Including a low-pass amplifier dedicated to a known load (driver) and enclosure will always improve the bass. The bass system of a speaker is exactly that: a system. Being able to collectively model the enclosure, driver, and amplifier as an integrated system to more perfectly produce bass energy in the room removes all the compromises. The high-pass on the input of the main amplifier reduces the current otherwise demanded by the bass and effectively increases the size of the main amplifier’s power supply. 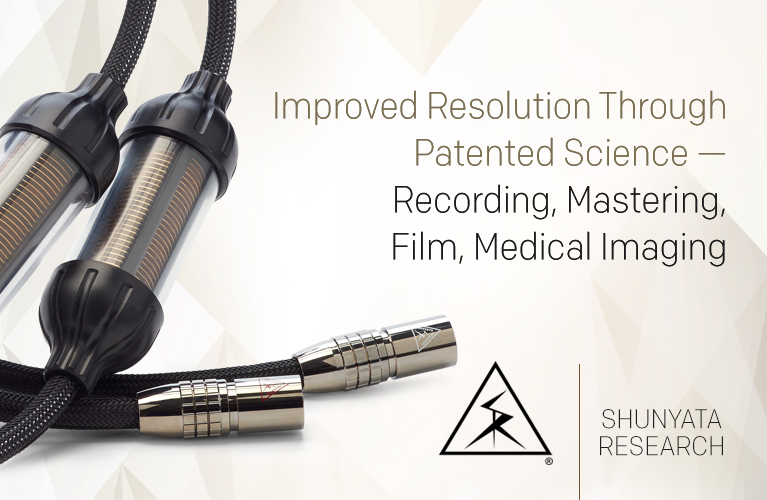 This alone improves the sound of the main amplifier significantly in all aspects. Many room-correction solutions are not implemented properly, as automated systems available today have the same problems we had during development in the mid-1990s -- those automated programs rely on samples, which are too easily corrupted. We do all the room correction in the subwoofer amplifier so the higher frequencies are untouched. Room correction above 150Hz alters the timbre of voice and instruments significantly. Payor: The primary benefit from an active biamp solution is better sound. This comes from an improved amplifier/cable/loudspeaker interface, which results from being able to separate the duties of the different amplifiers to a limited bandwidth as assigned by the active crossover. Active crossovers also allow the ability to easily implement steep filter slopes, which improves the power handling of the drivers themselves, reduces distortion and comb-filtering artifacts associated with excessive driver overlap (sorry, Richard), as well as improves polar radiation patterns. In addition, the filter sections are far more predictable since they are terminated into a purely resistive load at line level instead of the highly reactive load that the loudspeaker drivers present. The bass section in an active-biamp solution can also easily include level controls to better match the loudspeakers to a given room, as well as some room compensation if desired. Since the low-frequency portion of the loudspeaker defines the speaker’s overall sensitivity, there is a benefit in removing the huge inductors (and their insertion loss) that are required in a passive low-pass section, which can easily account for a 2dB voltage-sensitivity gain. Dickie: Assuming that filtering at the signal level and connecting the low-frequency drivers directly to the amplifier output offers the ideal approach, perhaps it’s better to ask, What are the downsides of LF passive filtering? Clearly, the size of the components involved in the passive low-pass filter cause much concern; with inductors in the range of 5 to 10mH and capacitors of a few hundred microfarads, the temptation is to go for cored inductors and electrolytic capacitors, both of which are frowned upon in high-end designs because of their very real shortcomings. The alternative use of air-cored inductors employing kilos of copper, and polypropylene capacitors occupying a liter of space, causes sharp intakes of breath when considering the cost. Furthermore, the LF driver is the one that experiences the greatest excursion and hence risks the greatest modulation of its impedance. This modulation, in turn, causes the passive filter response to vary with the voice-coil position, giving rise to a whole gamut of distortion mechanisms. Of course, this variation of impedance with position is one of the effects we try to minimize through careful design of the magnetic circuit of our bass drivers. Whether the high-pass filtering of the next driver up is accomplished at signal level or left to the passive filter is another question. The simplest thing is to keep the passive filter unchanged and drive it with a full-bandwidth signal, but this wastes amplifier-voltage headroom. Removing the high-pass components, unfortunately, cannot be done without redesigning the whole of the circuit for that band, so it’s a nontrivial operation and of course requires that the whole signal go through an active high-pass filter, which some may find ideologically challenging simply because they feel every stage of electronics has to be messing the signal up in some way. Dickie having presented some benefits of active over passive crossover networks, I asked him about other advantages of going active. Dickie: You can use different, more appropriate amps for the various bands, which might typically be, for example, a powerful class-D on the LF and class-A for the rest. More interestingly, there is the possibility of implementing filter types that are simply not possible with passive filters. Digital signal processing permits us to create linear-phase filters yielding a complete system capable of faithfully reproducing squarewaves (while simultaneously mitigating LF room anomalies) -- something that is virtually unheard of in a traditional multiway speaker. Richard Vandersteen must be smiling at that -- faithfully reproduced squarewaves have been a hallmark of his approach for decades. Yet Andy Payor cautioned against mixing and matching amplification devices. Payor: I find that one real challenge is educating the customer that, in a truly high-end system, it is unwise to use radically dissimilar amplifier topologies in a multi-amplified system. 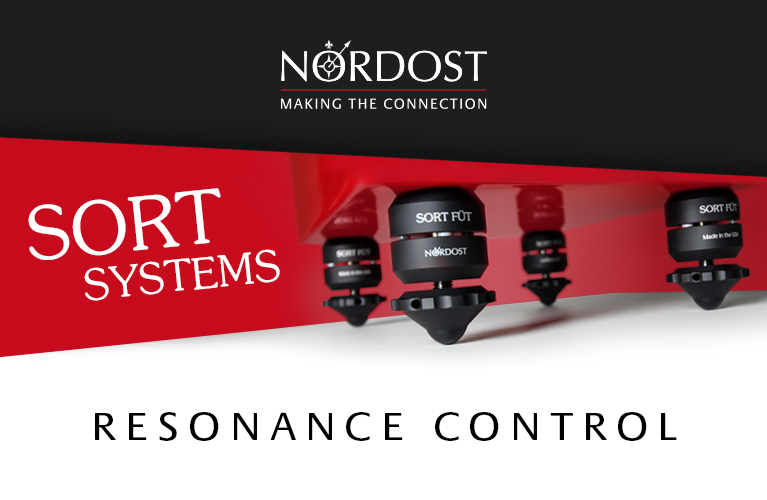 In an age where relatively inexpensive class-D amplification is often used in powered subwoofers, it’s sometimes difficult to stress enough the importance of having system amplifiers with the same transfer function if high fidelity is actually the objective. 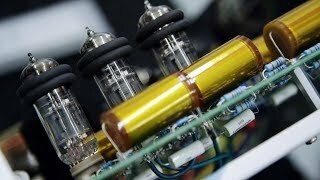 The notion that one can use a 15W single-ended triode for the main amplifier (because it doesn’t have to contend with making bass) coupled to a 1000W class-D amplifier for the bass may sound like the best of both worlds, but in practice it doesn’t work very well. This approach has been responsible for robbing the true performance potential of many a biamped system, as have poor setup and integration of levels within the system. Sometimes, when the flexibility and power are available, it’s difficult to resist turning the bass up to 11, even though it’s at the expense of natural tonal balance and a correct fundamental-to-harmonic-series relationship. . . . I make it a point to affirm that the active Arrakis has no “subwoofer” section, but that the extremely light, very compliant, low-distortion twin 15” woofers, each with approximately four cubic feet of volume, should be viewed as the foundation of the system, not merely an adjunct to extend bass. Because we are not attempting a lawless coercion of nature to extend the bass response, the integration is exceptional. I believe the performance gains when going completely active do not outweigh some of the benefits of properly executed passive crossovers in the mid- and high-frequency sections of the loudspeaker, and therefore have ultimately not yet been achieved. Without the use of sophisticated DSP (and its sonic consequences), it is difficult, within the context of an active crossover, to implement some of the subtler curve shaping that is necessary to overcome cabinet diffraction issues and driver nonlinearities. This same curve shaping is relatively easy to implement in the context of a passive crossover, and without signal degradation. Still, I believe these limitations will be overcome in the future, and that the ultimate loudspeaker will comprise a fully active, multi-driver solution. Laurence Dickie seems ready to take up the “ultimate loudspeaker” gauntlet laid down by Payor by developing Vivid Audio’s Giya into a quad-amplified, fully active, four-driver loudspeaker system. In any event, and for now, Andy Payor concluded that, “the best available architecture is a combination of active and passive crossovers within a biamplified, multi-driver loudspeaker system.” From what I saw at CES 2013, it looks as if Richard Vandersteen, who long ago included powered LF as part of his Quatro, 5a Carbon, and Seven models, agrees. I asked him to explain the imminent addition to his product line of the M7-HPA high-pass monoblock amplifier. With its launch, Vandersteen will be able to offer a complete amplification system for the combination of active and passive crossovers at the heart of his own biamplified, multi-driver loudspeakers. 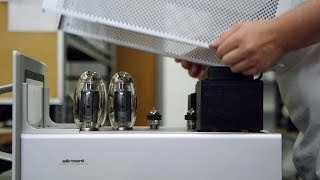 Vandersteen: Amplifiers designed to drive loudspeakers full range include many extra components because they need to do bass and treble without knowing what or how extreme the load will be. Many of those necessary components compromise transparency. Our M7-HPA is designed to drive the top part of the Model Seven (or Quatro or 5a Carbon). Large improvements in transparency ensue when the circuit can be optimized for the speaker. In the M7-HPA we incorporate the high-pass filter and avoid emitter resistors and the large amount of output devices otherwise necessary for woofers. Woofers tend to like feedback for control, while high-frequency transparency and imaging can be improved by using no-feedback circuits. The only cost is the market acceptance of powered speakers. 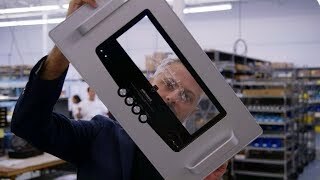 This is why I decided to make a high-pass monoblock designed to be located next to the speaker. This leaves the customer with the choice, and the decision then will come down to the demo. 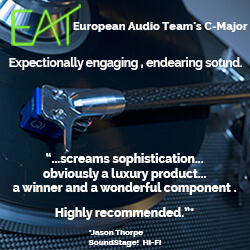 Speaking with world-class speaker designers at the top of their game is a privilege and an education. Clearly, these three believe in the benefits of, and are committed to offering customers a choice of, biamplified and multi-amplifier, active-crossover solutions. Relieving the HF amplifier of the current, excursion/impedance, and interactive challenges posed by LF drivers, allowing for an optimization of amplification-driver pairings, eliminating the LF compromises forced on passive filter networks, and enabling LF room-tuning solutions, all seem to favor active approaches. It will be interesting to see how the market responds.